Every now and then like the out of season rain, Airtel users here in Tamil Nadu have started receiving calls asking them to resubmit their id proofs such as ration card details, voter id and/or other photo id to the nearest relationship center. Initial murmurs suggested that it could be a move to verify the newly added customer base. However, Twits from regular Telcom Talkers suggest otherwise. Apparently new and old customers alike have received the calls requesting the documents. Prakash tweeted about his call while another user Saravana Pradeesh updated his status on Facebook regarding the same.Whereas Aarti from Chennai a Airtel postpaid users quoted she hasn’t received any calls asking the same. The verifier failed to answer this re-verification of documents and were unable to give any other information than pointing their fingers at DoT and Government agencies for this exercise. 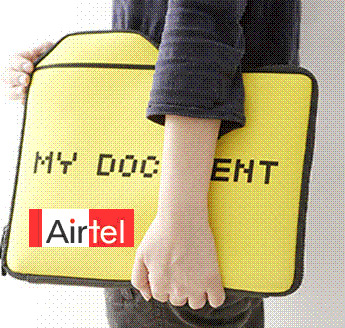 thumb a** h**** …… grrr….i am using my number 4+ years….. whether airtel is not suffcient ….. with proof given ….